A classic banana bread typically includes smattering of walnuts or pecans. In this edition of The Clean Plate Makeover, I chose to add some hemp protein powder and decorate with a sprinkle of hemp seeds! You could also bake this batter into a loaf or bar pan and garnish the top any way you like! I love it when food looks pretty! The green and cream-colored hemp seeds make these muffins fun and friendly. They are perfect after a good hard workout for some glycogen replenishment, a late weekend breakfast, or a healthy on-the-go snack! In a bowl, blend sugar and butter/shortening. Using an ice-cream scoop or 1/4 c. measuring cup, divide batter into a lined or greased muffin tin (may need two muffin tins. This recipe made 18 regular-sized muffins). 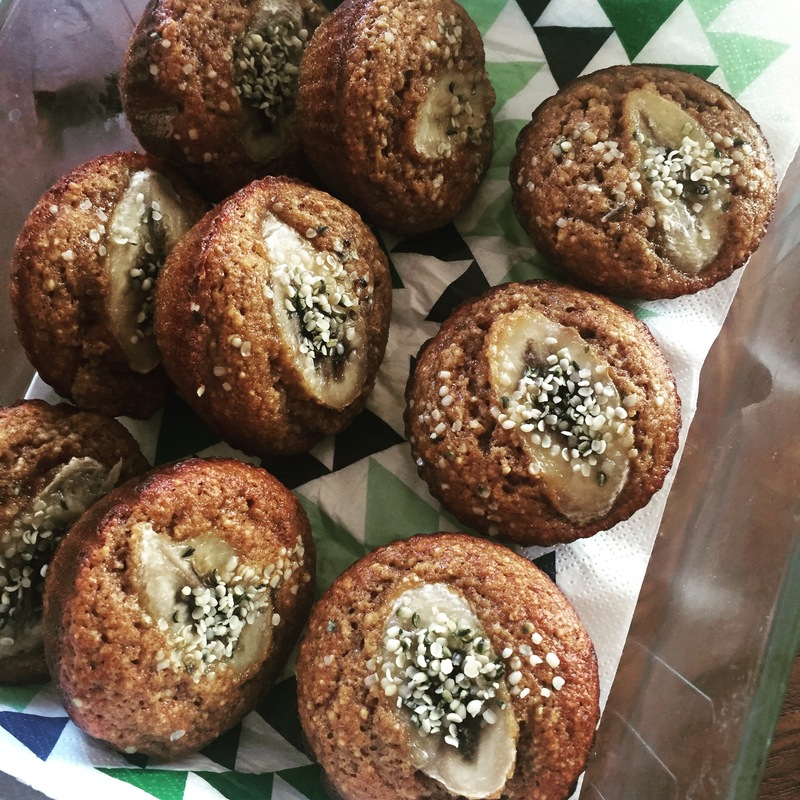 Slice banana into thin rounds and garnish each muffin with one slice and a sprinkle of hemp seeds. Bake for 20-25 mins until center is fully cooked (use toothpick to check).